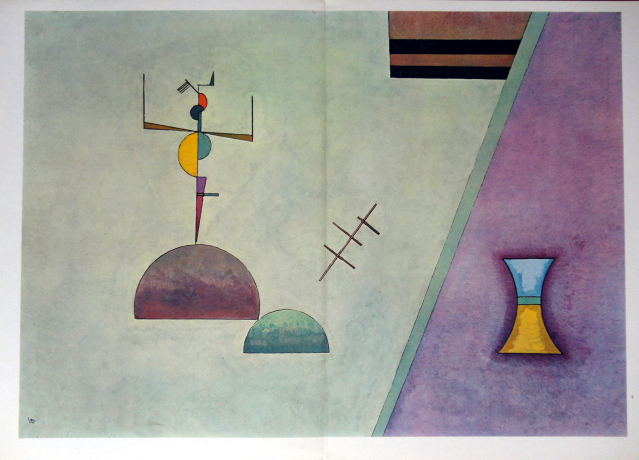 Wassily Kandinsky, Bauhaus de Dessau 1927-1933, double page colour lithograph after original work by Wassily Kandinsky, 38 x 56 cm. DLM no. 154 published in 1965 on the occasion of the artist’s exhibition of 25 paintings at the Galerie Maeght in Paris. Seven of them had been chosen to be lithographed especially for this volume, 2 are double-page and 5 full-page (including front wrap).